Personal care product manufacturer Kimberly-Clark Australia announced the relaunch of Snugglers® Nappies on Woolworth’s shelves. The Sydney-based company said the exclusively designed pack for Woolworth will be available at a special price of PRP$5 for the Small size pack and RRP$12 for the Crawler through to Junior packs, offering consumers a super absorbent, five-star performance product at a very affordable price. The company also announced that it has moved the production of Snugglers® Nappies back to Australia, which from now on will be manufactured at Kimberly-Clark’s plant in Ingleburn, Western Sydney. “The news of Snugglers® Nappies now proudly being made in Australia again follows the value brand’s recent Canstar Blue Award Win,” the company said in a press release to Australian Manufacturing. 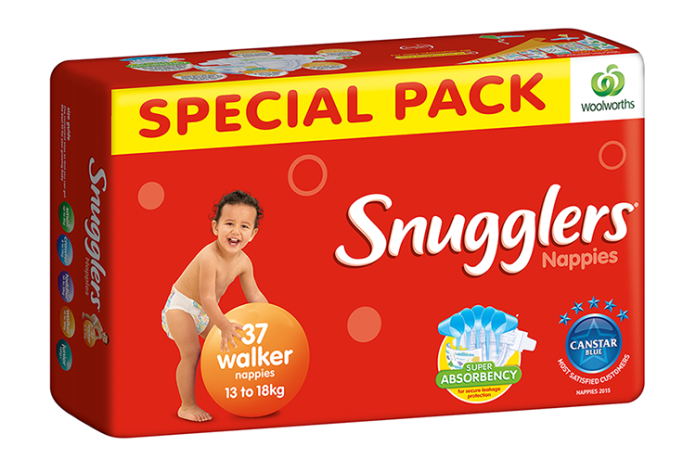 According to Kimberly-Clark, the Snugglers® brand, which is over 40 years old, will continue to be sold in Jumbo packs at Big W, IGA and various pharmacies. The company’s household brands also include the KLEENEX®, KLEENEX® COTTONELLE®, HUGGIES, U BY KOTEX®, VIVA®, POISE® and DEPEND® ranges.